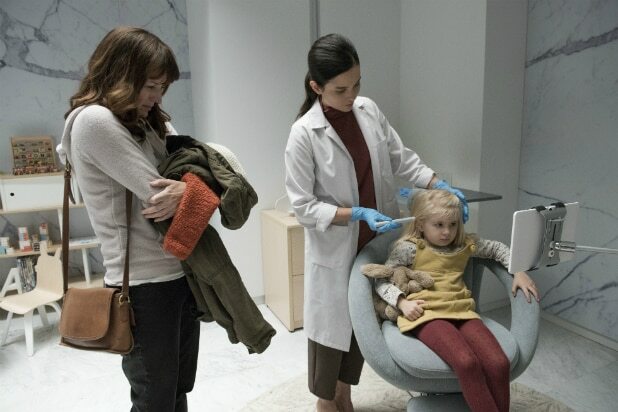 Netflix released two first look images from “Black Mirror” Season 4 on Thursday, further adding to speculation as to what the episodes will be about. One image (above) shows the crew of the USS Callister, stars from the episode of the same name. More specifically, we get a full look at some of the costumes from it, which is clearly inspired by “Star Trek.” The women’s outfits are complete with gogo boots and large hair, so even the time period of the original series is in full force here. 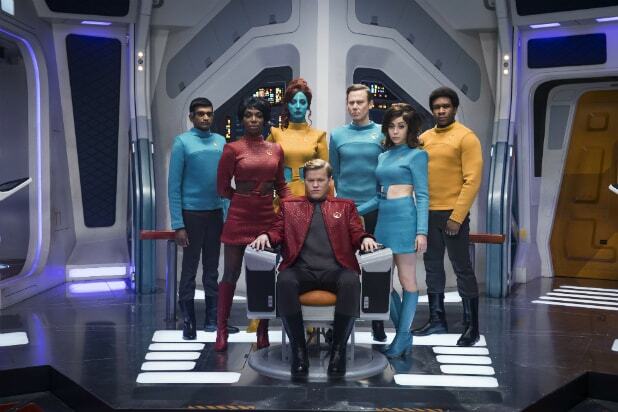 Jesse Plemons (“Fargo”), Cristin Milioti (“Fargo,” “The Wolf of Wall Street”), Jimmi Simpson (“Westworld”), Michaela Coel (“Chewing Gum”) and Billy Magnussen (“Into the Woods”) are starring. Toby Haynes, who’s directed episodes of “Sherlock” and “Doctor Who,” is directing. The second image comes from the Jodie Foster-directed episode “ArkAngel.” Less is known about this episode besides that it’s closer to an indie drama than any of the other installments this season. We speculated that it might have something to do with surveillance and while it’s still unclear what the theme will be, we do see a medical professional inserting a needle into a young girl’s head. Rosemarie Dewitt (“Mad Men”), Brenna Harding (“A Place to Call Home”) and Owen Teague (“Bloodline”) star. 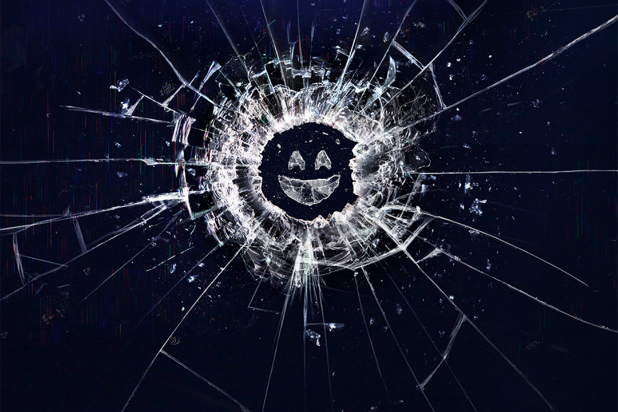 “Black Mirror” Season 4 doesn’t have a premiere date yet, but an insider told TheWrap that it’ll air sometime in 2017. The first teaser was released at the end of August. Every episode of Netflix's "Black Mirror," about how technology reflects and distorts our real lives, is a little scary. Some will just shake your worldview. Others will make you want to throw your cellphone and laptop in the trash. We ranked the episodes from least to most scary. This is an unusual "Black Mirror" episode -- though it's disturbing at times, it's really pretty uplifting. Season 1, Episode 2: "Fifteen Million Merits"
This twist on "American Idol," in which people are coerced into doing things they don't want to do, is too much like real life to be scary. Depressing, yes. But not really scary. Season 2, Episode 1: "Be Right Back"
It's not horrific, just heartbreaking. This episode, starring Hayley Atwell and Domhnall Gleeson, looks at what makes us human, and what qualities our loved ones can't replace when we're gone. Season 2, Episode 3: "The Waldo Moment"
An insult-spewing cartoon character inserts himself into politics? Many people find this scenario all too familiar. Season 3, Episode 6: "Hated in the Nation"
This story about a killer hashtag and Terminator bees is good, but a little too "Sharknado"-like to be truly scary. Unless you're very, very afraid of bee stings. Season 3, Episode 1 -- "Nosedive"
This is only scary if you've ever had to give a wedding speech -- which is, of course, pretty scary. It's also a scarily accurate critique of our obsession with seeking online validation from strangers. 3. Season 1, Episode 1: "National Anthem"
The starkness of the humiliation for the prime minister in this, the first episode of "Black Mirror," is awful. What's scariest about it is that he simply has no way out. Season 2, Episode 4: "White Christmas"
The sheer coldness of this episode is upsetting, and it will especially get to people who have issues with isolation and claustrophobia. Seasons greetings! Season 2, Episode 2: "White Bear"
A woman is hunted for reasons she doesn't understand. This one has lots of frightening moments and images, and the uncertainty throughout is jittery and no fun. The fact that it's so over-the-top might give you some comfort. since nothing like this could ever happen in real life ... right? It starts light and stays fun, until a man is asked to spend a night in a creepy house. There are some scares, then horrible shocks. Worst, the episode asks questions about memory and identity that linger long after the episode. Season 3, Episode 3: "The Entire History of You"
If you've ever been in love, this one is very, very scary. Paranoia can't save you from pain. Season 3, Episode 3: "Shut Up and Dance"
How upsetting you find this episode will depend a lot on what kinds of things you do online, and how scared you are of other people finding out. There's a pervasive sense of menace and uncertainty throughout this episode that may make you think less of humanity long after the episode ends. The most frightening thing? It's completely realistic. Episode 3, Season 5: "Men Against Fire"
This starts out as a war story with lots of grotesque images, but the most frightening thing is the truth it tells. This is one of the most painful stories ever told about why we fight. ... and this look at 5 Real-Life Inspirations for "Black Mirror" Episodes. Finally, here's everything we know about "Black Mirror" Season 4.